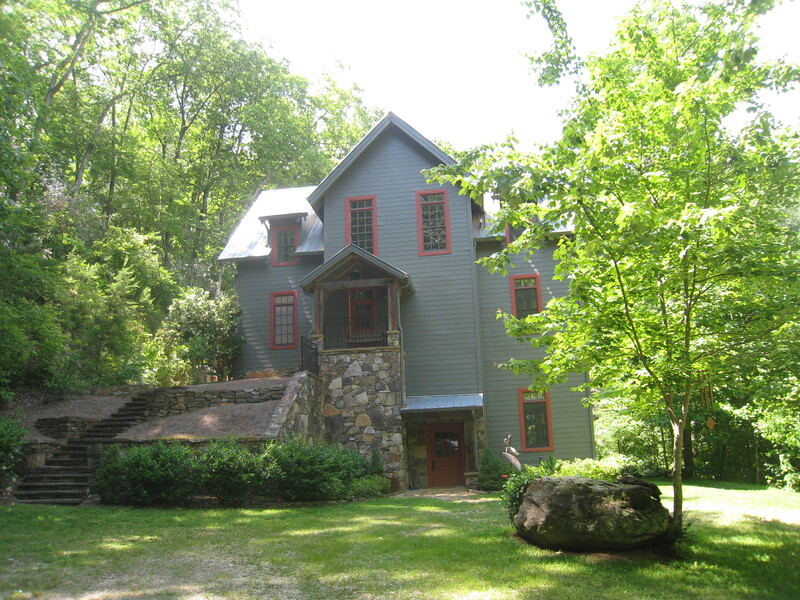 The Thanksgiving House was the original structure at Elohee and is currently available for use by small private groups. With six bedrooms and four bathrooms, it sleeps up to fourteen. It offers two community rooms with fireplaces, a kitchen and dining room, as well as a meditation/yoga room. The outdoor patio has its own fireplace and overlooks a 100 foot waterfall and small pool.